Kim Loan Huynh, AuD, received her doctoral degree in Audiology from Salus University and completed her bachelor degree at Wichita State University in Chemistry. Dr. Huynh is a Fellow of the American Academy of Audiology and is a licensed audiologist in the State of Pennsylvania. Dr. Huynh participated in multiple internship opportunities throughout her educational career, including hospitals, private practices and U.S Department of Veterans Affairs. Dr. Huynh completed her clinical externship in Audiology at Einstein Hospital. Dr. Huynh has been employed at University Otolaryngology Associates since 2015. Her clinical specialties include diagnostic hearing and vestibular evaluations, electrophysiological testing, hearing instrument amplifications and Baha bone anchor device. 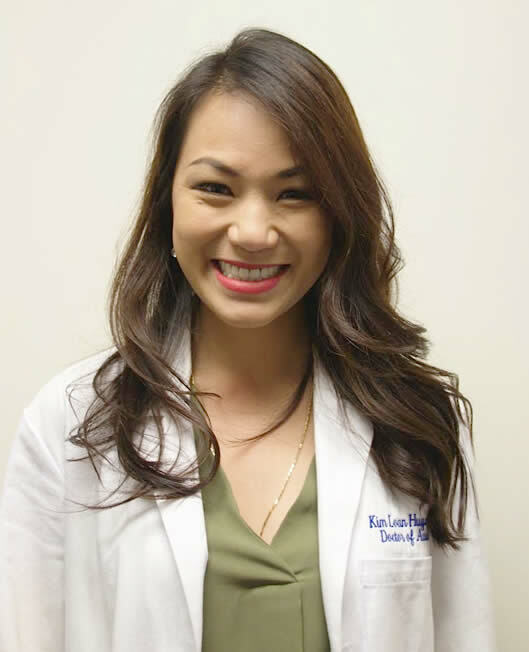 Dr. Huynh was born and raised in Vietnam but now resides in Montgomery county, PA with her husband and two sons. Beside her passion of helping others improve their quality of life in her work as an Audiologist; she enjoys cooking and spends time with her family, especially with her two sons.